April 27 at 5:30 p.m.
to answer questions and introduce the film. The award-winning Celtic-Americana band Beyond the Pale will be at Old Town Theatre for one night only. Purchase a ticket to the performance before May 15, and get FREE admission to the General Sam Houston Folk Festival! Tickets on sale Now! This performance is part of the Texas Music Series at Old Town Theatre and is funded in part by a grant from the Huntsville Arts Commission. 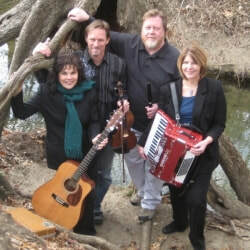 June 1 at 7 p.m.
​This performance is part of the Texas Music Series at Old Town Theatre and is funded in part by a grant from the Huntsville Arts Commission. ​Sunday, June 16, at 6 pm.